Monday's update noted that "today could be make or break for the near-term bear count," and it turned out to be "break." 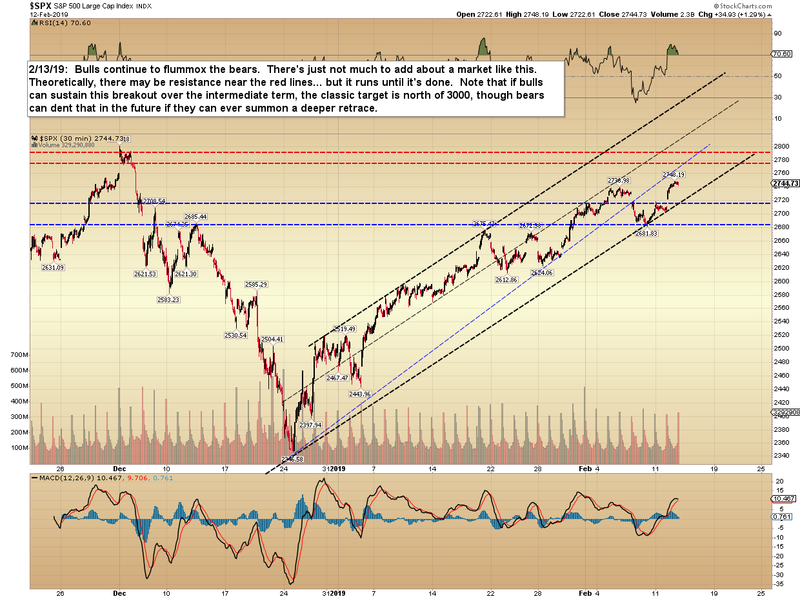 This market continues to frustrate bears, and has yet to offer even a decent retrace. 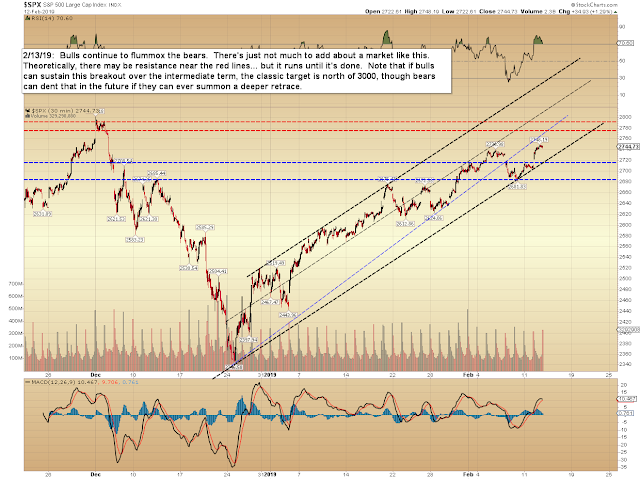 There really isn't much to say in a market like this, other than "the trend is your friend" -- which is why I've been keeping the updates relatively short for the last couple weeks. In conclusion, it's still a "ride the trend" market for bulls and a "watch and wait" market for bears. I'd still prefer to see a decent retrace at some point... we talked about it briefly previously, but there was confirming momentum at the December low, and it's unusual to see that go untested. We saw a similar situation in 2018, though, wherein the market rallied all the way up to new highs before finally testing (and in that case, breaking) the 2018 lows. Early-on in this rally, we discussed that as a possibility here, so we'll just have to take it as it comes for now. Trade safe.